Our oceans need an immediate and substantial reduction of anthropogenic greenhouse gas emissions. If that doesn’t happen, we could see far-reaching and largely irreversible impacts on marine ecosystems, which would especially be felt in developing countries. That’s the conclusion of a new review study published today in the journal Science. In the study, the research team from the Ocean 2015 initiative assesses the latest findings on the risks that climate change poses for our oceans, and demonstrates how fundamentally marine ecosystems are likely to change if human beings continue to produce just as much greenhouse gases as before. Since the pre-industrial era, the carbon dioxide concentration in the atmosphere has risen from 278 to 400 ppm (parts per million) – a 40 percent increase that has produced massive changes in the oceans. “To date, the oceans have essentially been the planet’s refrigerator and carbon dioxide storage locker. For instance, since the 1970s they’ve absorbed roughly 93 percent of the additional heat produced by the greenhouse effect, greatly helping to slow the warming of our planet,” explains Prof Hans-Otto Pörtner, co-author of the new Ocean 2015 study and a researcher at the Alfred Wegener Institute, Helmholtz Centre for Polar and Marine Research. But the oceans have also paid a high price: as far down as 700 metres the water temperatures have risen, which has forced some species to migrate up to 400 kilometres closer to the Earth’s poles within the past decade. Given the increasing acidification in many regions, it’s becoming more and more difficult for corals and bivalves to form their calcium carbonate skeletons. In Greenland and the western Arctic, the ice is melting at an alarming rate, contributing to rising sea levels. As a result of these factors, the biological, physical and chemical processes at work in marine ecosystems are changing – which will have far-reaching consequences for marine life and humans alike. In their new study, the research team from the Ocean 2015 initiative employs two emissions scenarios (Scenario 1: Achieving the 2-degree goal / Scenario 2: Business as usual) to compile the main findings of the IPCC’s 5th Assessment Report and the latest professional literature, and to assess those findings with regard to the risks for our oceans. “If we can successfully limit the rise in air temperature to two degrees Celsius through the year 2100, the risks, especially for warm-water corals and bivalves in low to middle latitudes, will become critical. However, the remaining risks will remain fairly moderate,” explains lead author Jean-Pierre Gattuso. But a rapid and comprehensive reduction of carbon dioxide emissions would be needed in order to achieve this ideal option, he adds. If instead carbon dioxide emissions remain at their current level of 36 billion tonnes per year (the 2013 level), the situation will escalate dramatically. “If we just go on with business as usual, by the end of this century the changes will hit nearly every ecosystem in the oceans and cause irreparable harm for marine life,” claims Pörtner. This would in turn have massive impacts on all areas in which human beings use the oceans – whether in capture fisheries, tourism or in coastal protection. 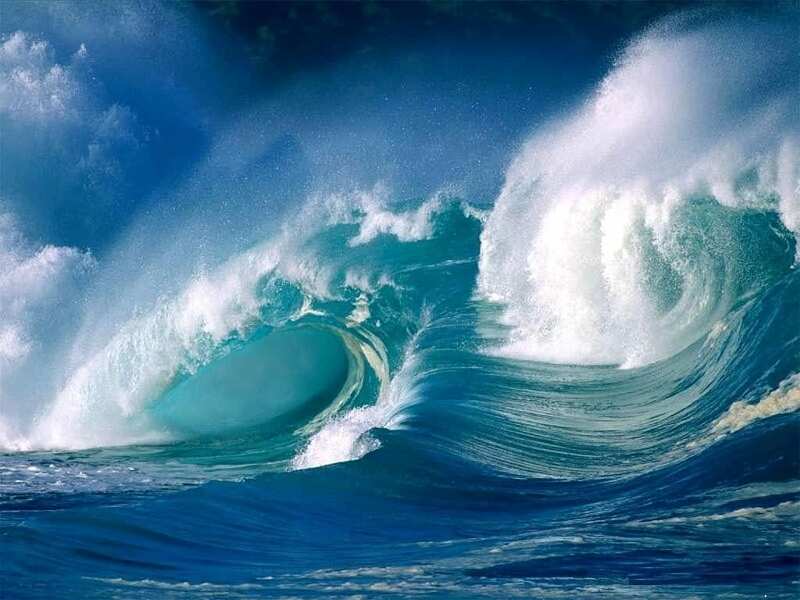 The oceans greatly influence the climate system and provide important services for humans. The impacts of anthropogenic climate change on key marine and coastal species can already be seen today. Many of these plant and animal species will face significant risks in the decades to come, even if we succeed in capping carbon dioxide emissions. We urgently need an immediate and substantial reduction of carbon dioxide emissions in order to avoid widespread and above all irrevocable harm to ocean ecosystems and the services they provide. Fourth, as atmospheric CO2 increases, the available protection, adaptation and repair options for the ocean become fewer and less effective, and with them the odds that marine life forms can successfully adapt to these rapid changes. The Ocean 2015 initiative was launched to provide extensive information on the future of the oceans as a resource for decision-makers participating in the COP21 conference. The international research team is supported by the Prince Albert II of Monaco Foundation, the Ocean Acidification International Coordination Center of the International Atomic Energy Agency; the BNP Paribas Foundation and the Monégasque Association for Ocean Acidification. April 8, 2019 - The complex threats of exotic marine species - News - Nature Middle East Nature Middle EastThe relationship between introduced and native marine species is a complicated one. April 15, 2019 - UNCW Dean Aswani Volety Appointed Director of the North and South American Chapter of the World Oyster Society UNCW NewsUNCW College of Arts and Sciences Dean Aswani Volety has been appointed director of the North and South American Chapter of The World Oyster Society. March 25, 2019 - Will Large Protected Areas Save the Oceans or Politicize Them? Yale Environment 360In the last decade, governments have been pushing to create vast Marine Protected Areas large enough to protect species from overfishing and other threats.